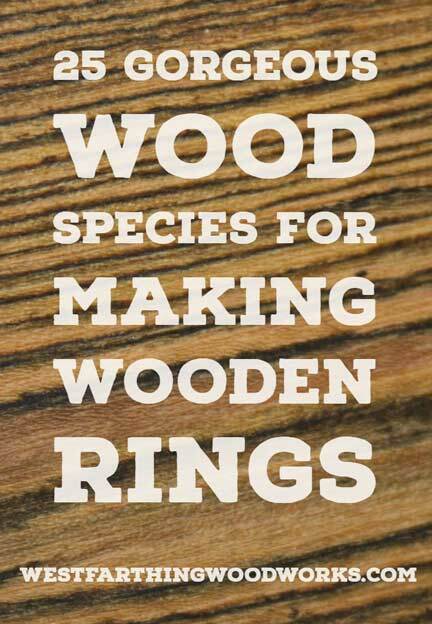 This is your ultimate species guide for making wooden rings. 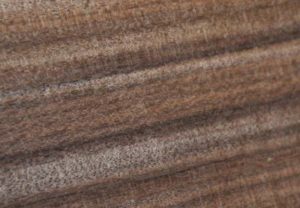 The following 25 gorgeous wood species are guaranteed to bring life to your rings, and widen your design options. After all, the more you know about wood, the better looking you can make your rings. 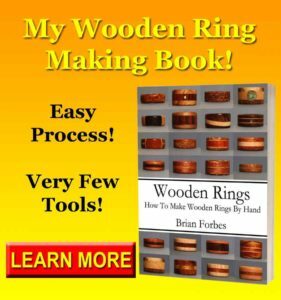 Wooden rings are made from wood, obviously, so knowing more about wood is one way to make better rings. 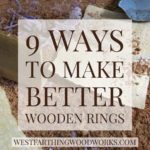 For more about making better rings, I share 35 Ways to Make Better Rings in another post that you can read after this one. 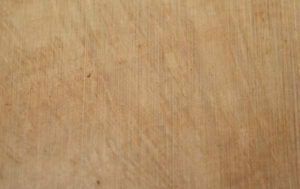 When you know about the different kinds of wood that are available in the world, you can make better choices for your ring designs. You don’t need to learn them all in one day, but you should make an effort to learn as much as you can over time. 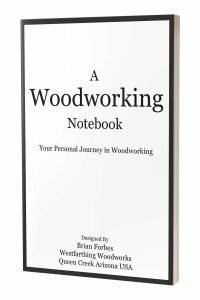 Most people that are new to woodworking are amazed when they find out that you can buy wood that is red, purple, yellow, black, white, and green. It’s all natural, and that’s just the start of what nature has to offer. In the beginning, you have no idea what you are allergic to, and until you know, you should treat every piece of wood carefully. 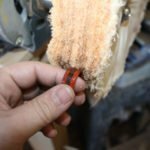 It’s important to learn about new types of wood as a woodworker, but it is also important to do it safely. 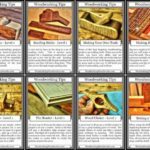 Over time, you are going to be exposed to a lot of new species of wood. As you encounter them, you should wear protective gear like a mask, respirator, glasses and gloves. When you handle the wood for a while, and you see the effects, you can then decide how much of that gear you are comfortable shedding. The last thing you want to do is go in unprotected and have a reaction. Even if you have a long track record of no effects from wood dust and working with wood, you never know what species is going to get you. This happened to me with a new piece of wood that I was making a guitar neck with, and I had to run out of the shop to be able to breathe again. It was terrifying, and I have never had a bad experience with any kind of wood before. It changed my thought process on working with new types of wood very quickly. Do yourself a favor, and until you know, protect yourself. Learning about wood is a fun process, and the better you protect yourself, the more fun it will be. 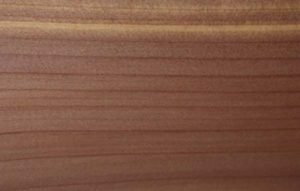 Aromatic Cedar is also sometimes called Tennessee Cedar, and is the common Cedar that produces a lovely smell in your workshop. This is a beautiful species with amber tones and pink to brownish/pink tones. When you build with Aromatic Cedar you get the pleasure of a shop filled with a great smell, and a good looking wood for your rings. 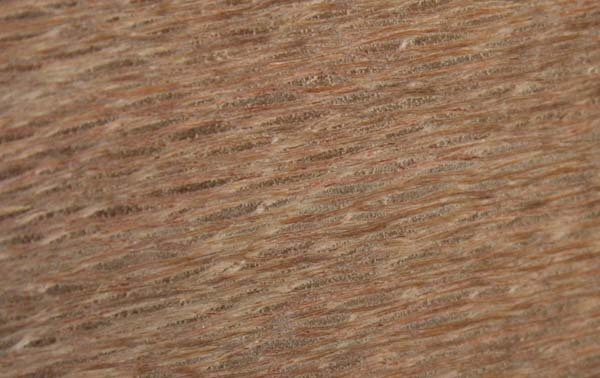 The wood cuts well, sands easily, and is great looking in a lamination with other types of wood. Cedar has a lot of variation too. You can find color streaks in Cedar that really look amazing. All you need to do is dig through the wood pile. Spend a little time, and pick out a piece that will make a great addition to your wooden rings. This type of wood is a real treat, and is a little on the higher price scale. Thankfully, wooden rings are made from such small pieces that when you buy some Bocote, you will only need a small piece to make a few rings. 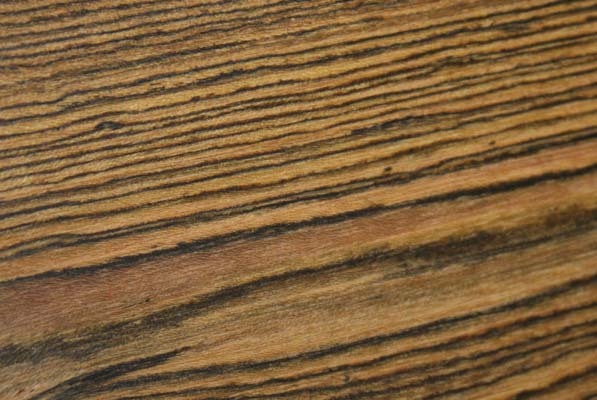 This wood has yellow and black streaks, with straw colored streaks and brown ones too depending on the piece. The wood has a really interesting look, and makes a great face layer on your rings. This wood is dense, and can take a little more to file and shape. Don’t be discouraged though, because the finish that you can get with a little effort is well worth it. Lot’s of people enjoy working with Bocote, and you will too. Almost anything labeled Rosewood, even if it’s not a true Rosewood genetically, is a beautiful piece of wood to work with. 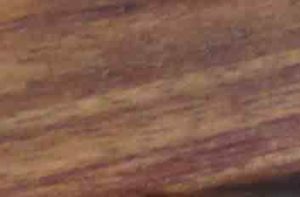 Bolivian Rosewood is no exception, and you can use it to make your rings look amazing. 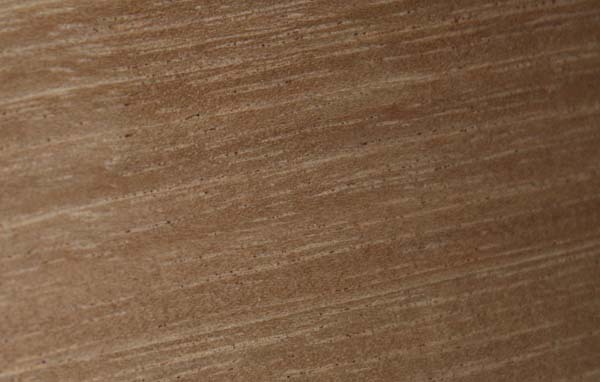 This brownish wood also has streaks of lighter colors, warm hues, and a great look. The cut of the wood makes a difference as in all pieces, so look through the pile for something that looks really good. It will be a pinch on the expensive side, but you only need a little piece. This type of wood looks good in a lamination, but can also stand up by itself. The amount of variation in the piece gives the species the power to work well in a single species ring, where you only have one star in the show. This is one of my personal favorites. Briar doesn’t look like munch when you buy it. In fact, it actually looks rather plain. The real big change is when you apply a finish. Briar, with a well applied contrast stain is amazing to behold. Briar comes from the Heath Tree, and is a root burl. These burls are harvested, dried, and then aged for several decades before being sold. They are primarily used by pipe makers, and they are very heat resistant. 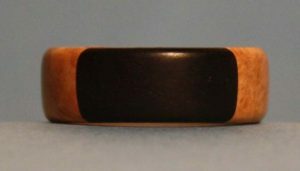 You will need to get your Briar from a tobacco pipe making supply store or site, because this is not typically carried in a wood store. This wood looks great as a stand alone, and also makes a fine addition to a lamination. Bubinga is also called African Rosewood, and is a gorgeous pink to brown with a lot of streaking and interest in the grain. 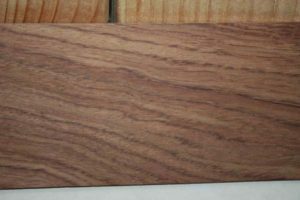 There is a lot going on with a piece of Bubinga, and it can be a very interesting species. This wood is a little more flaky than others, and can cause problems with chipping out. You can control this by drilling carefully and working the wood without rushing, and taking care when drilling. 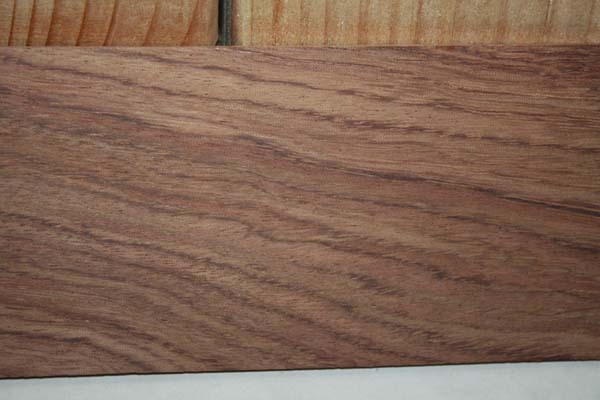 Bubinga can be found in local hardwood stores, as well as online. 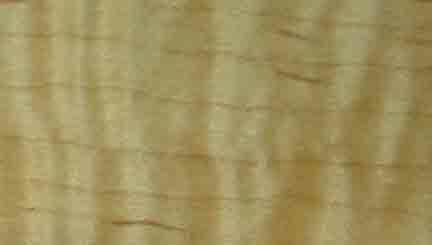 Bubinga is also available with figure that ranges from quilt to waterfall. The supply depends on your source, but if you look around enough you can find the figured stuff. Before you buy, make sure that the figure will be visible on your ring design. There is no reason to pay extra for figure if you are not going to see it. 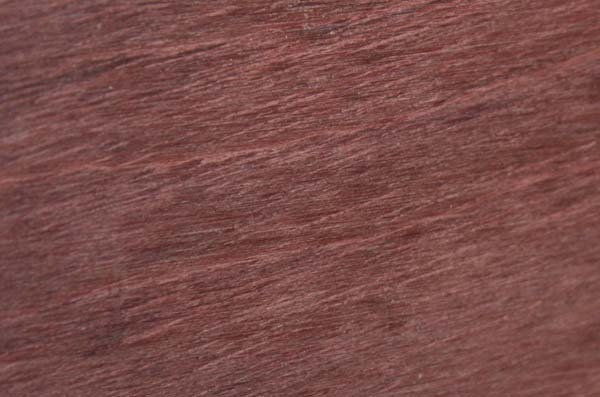 Cherry is a common wood that is a light brown with a little pink or red to it. This is a very clean looking species, that can be used to add a colored line in a lamination that is very solid, without a lot of variation. Cherry is an American wood species, and is commonly used for cabinets and furniture. The wood works easily, and is also easy to sand. It takes a finish well, and will even turn darker over time when exposed to light. The warming effect of the color change in Cherry is typically well received by everyone that sees it, and is a nice subtle deepening. Cherry looks good anywhere on the ring where you need to use the color. 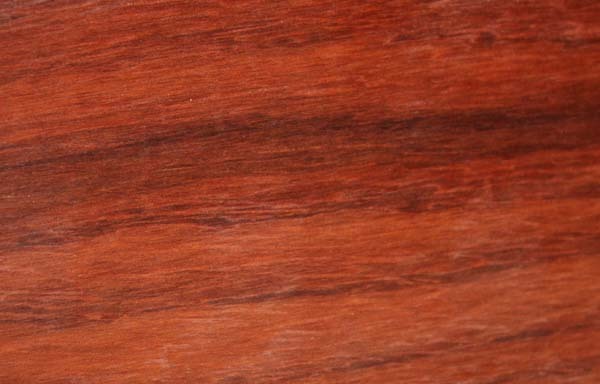 One of the true Rosewoods, Cocobolo is a Mexican / South American wood that has such amazing color you need to see it to believe it. The colors range from tan to brown, red to brick, and everything in between. This is a very oily wood, so you will need to leech the surface before you apply your glue. You can also use two part epoxy instead of wood glue, which will help create a better hold. 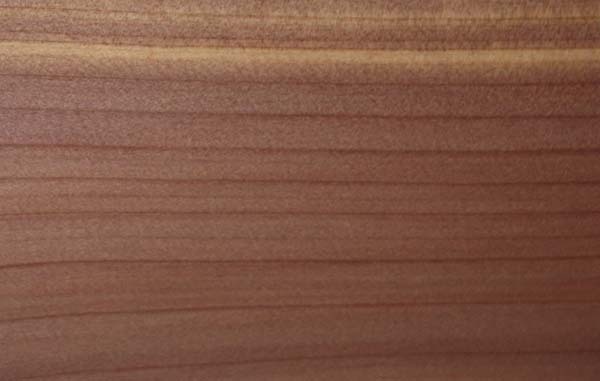 This wood can be found in a lot of woodworking stores, and there will be variety in the color when you pick your piece. Be careful with this species in particular though, because it has been known to be a respiratory irritant to a lot of people. You should exercise caution with all wood that you use in your shop, especially when you don’t know the effects of exposure yet. 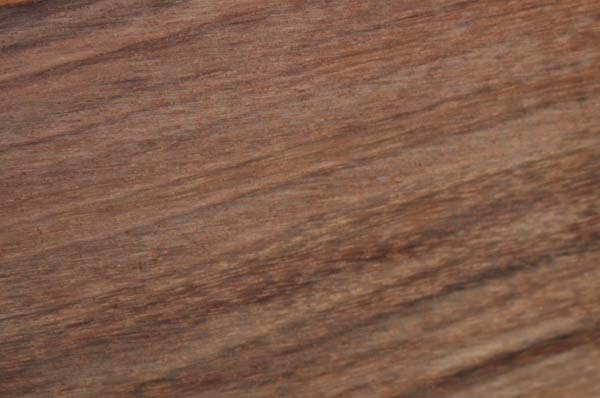 This great wood species for wooden rings is a favorite among guitar makers. The most beautiful pieces are used on the backs and sides of acoustic guitars, and on the necks as fretboards. 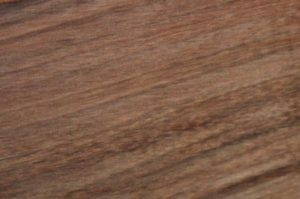 The wood is a brown color with purple tones, and streaks ranging from light to dark. 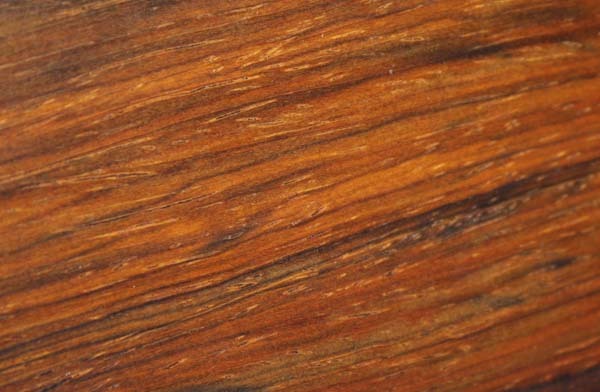 You can find East Indian Rosewood in a lot of forms, since it is so popular. This is great for ring makers, because you can buy the piece you need in the right size. Overall, this Rosewood is more expensive than a lot of other woods. However, the material works so well that you will really love using it. You also need a small piece for a ring, so something the size of an acoustic guitar bridge blank is perfect. Another favorite in the instrument making community is Ebony. 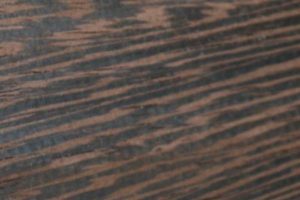 There are a few kinds of wood that are normally called Ebony by suppliers, but this is Gabon Ebony, the blackest of the blackest wood you can find. Since this is such a popular wood, the supply is dwindling and so is the supply. Some of the pieces you will find will have dark brown streaks in there among the black. If you find true black Ebony, then pick up a piece because it’s worth it. One of the most interesting features of good Ebony is that it can be polished really well. A piece of well sanded and polished Ebony has a stone-like appearance, and is really amazing to behold. You have to feel it to believe it, and Ebony does not disappoint. 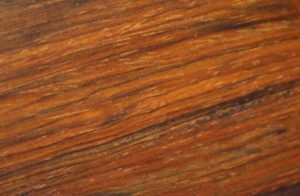 Granadillo has a Rosewood look, and is a fun wood species to work with. You can find it in a number of places, including a wood store or online. Pick through the boards, and find a piece that you like before buying, and you can add a lot of detail. This wood looks good all by itself, and it also looks good in a lamination. The color is similar to Bubinga and it can vary as well. If you find a more interesting piece, you can make it a single species ring. Also, if you want a line of color, or maybe even a bigger color band in the middle of a ring, this wood is perfect. Select the right board in the store, and make sure it has the characteristics you want. See Also: How Durable are Wooden Rings? Canary Wood is a really interesting piece of wood to work with. The tones are middle range, but there are subtle hues in the piece that are almost hidden. When you look close, you can see them, and it makes this a great piece of wood. This is best used for larger rings, or larger pieces of the lamination. In small pieces, it can be hard to see the detail and all the things that are happening in the wood. With a larger lamination, or a bigger ring, you have a better opportunity. The draw to Kari wood is the story. Scientists think that around 50,000 years ago a tsunami leveled a forest of gigantic Kauri trees. Afterwards, the dense trees sunk and were buried under ground for thousands of years. Recently, people have been digging them out of the ground, and harvesting wood from the pieces that are still good. This is wood that has not seen a soul in thousands of years, and you get to work with it. 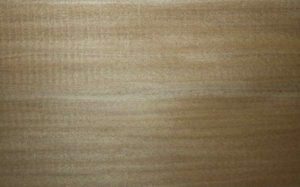 Beyond that, Kauri wood is fairly plain, a medium to to yellowish wood without a lot of color differences, and a closed grain. This is a good species for a simple solid color band in a lamination, and be sure to tell the story when people ask about the ring. 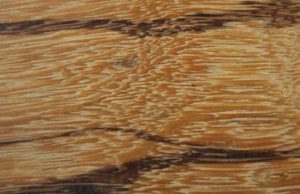 Koa is one of the more interesting wood species, in that it is similar to a lot of other woods but only grows in one place. The wood comes from Hawaii, and has a look and working style like Mahogany. This is a very good looking piece of wood, and rare too. 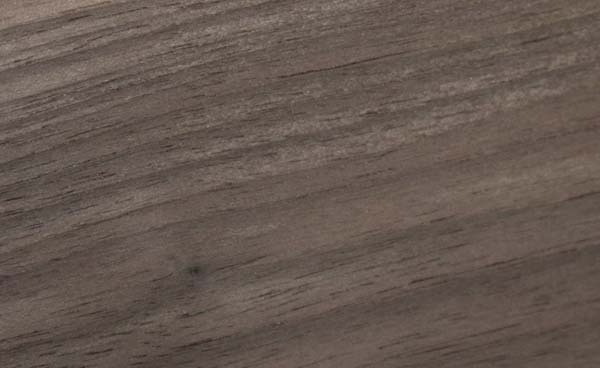 If you like the look of Mahogany, with brown and tan streaks and a fairly solid color, then you will love Koa. The rarity is also a big selling point, because many times people favor something rare over something common. You might find some luck getting Koa cutoffs from someone that already paid for the taxes associated with harvesting Koa wood from Hawaii. These pieces will be smaller, and you will have a much easier time getting it into your shop. 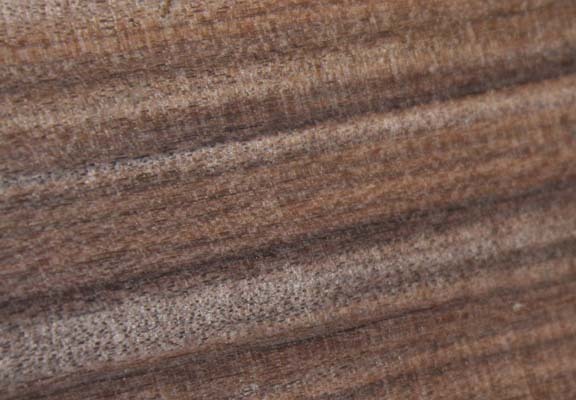 The grain of lacewood is the real selling feature, and it has a very unique look. 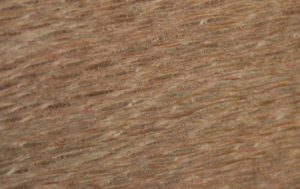 The wood itself is a tan with a touch of pink in some cases, and fairly solid. That’s important, but not as important as the grain. When cut properly, lacewood has an amazing grain that looks like lighter colored ovals all over the piece. 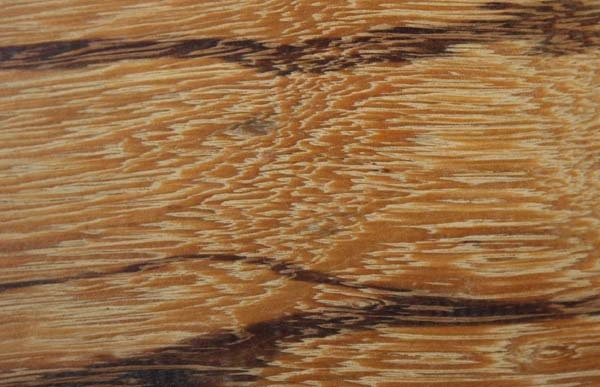 It has a leopard appearance, which is easy to recognize, and is where the common name of leopard wood comes from. 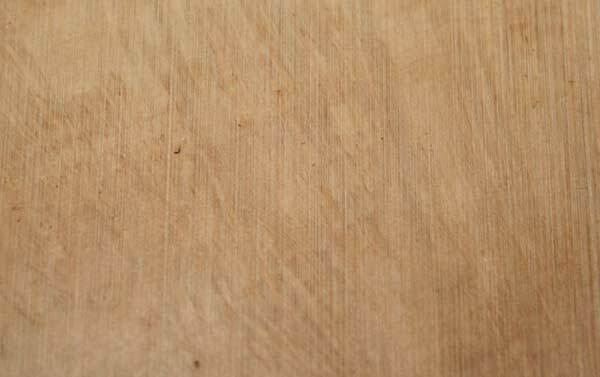 Make sure that when you cut the board you buy, the grain is preserved in your ring. If you cut the wood so that you don’t see the little ovals, then all you are really left with is a fairly plain looking piece of wood. Just check the pieces in the store carefully before you buy. Mahogany is a common wood in fine furniture making, and there are several varieties. 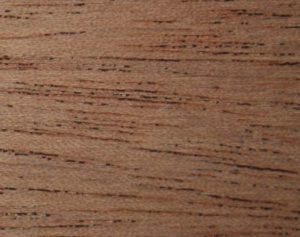 The most common and the least expensive is African Mahogany, and there are others that are more expensive too. 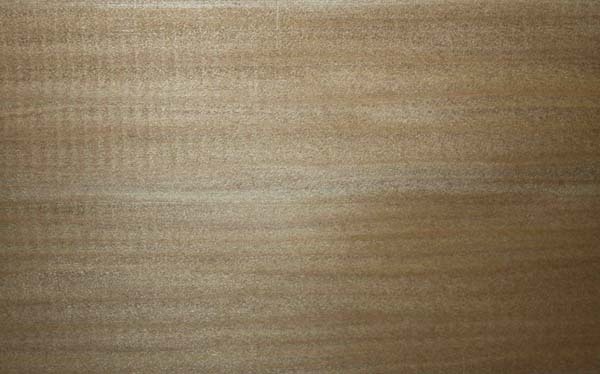 This is a common wood in guitar making, and produces a warm tone. 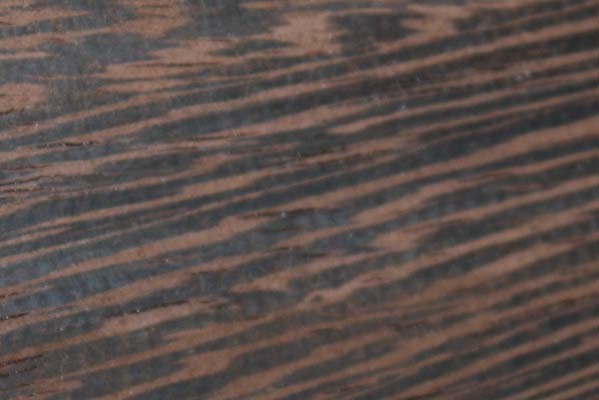 The wood itself is brown and tan, mixed together well, with streaks throughout the board. It cuts and sands really well, and takes a finish perfectly. The other interesting thing about Mahogany is that you can make the color and the shine change. When you finish the piece, you can get a glimmer and shimmer when you rotate it in a light. This is a really interesting feature of the wood. A common American wood, Maple is a light colored wood with a slight pink tint. The tint is barely noticeable unless you compare it to a really white wood. The beauty of Maple is the inexpensive price and the different looks. Maple often has figure in the wood, which can range from a flowing quilt look to a wavy fiddle back look. These figure styles make the wood more interesting, and can be very extreme in some cases with special boards. If you have ever seen the ack of a violin, that is figured Maple. The overwhelming majority of violins are made with figured Maple on their backs, which gives them a more interesting look than plain Maple. 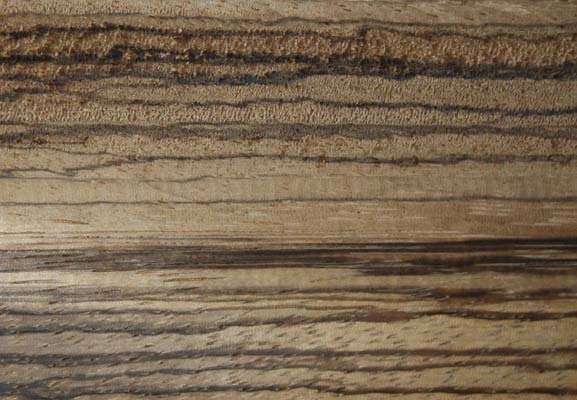 You can also find Spalted Maple, which has green and black streaks. The other great thing about figure in Maple is that it is so common that you can buy pieces with a fair amount of figure for a very low price. High end pieces will always be more of course, but the middle range is very good. Marble Wood is one of those pieces of wood that you need to see to believe. The look is more about the way that the different colors of the wood interconnect, but the colors in the wood are interesting too. You can find some variation in Marble Wood, but the color is typically a tan to brown, with pink to amber/red/brown hues as well. These interlock, and the looks that they produce are really interesting. If you are going to use Marble Wood, make the segment of the ring a little bigger, so you can see more of the grain. A small line will still look good, but not as interesting as something thicker. If you want to make your whole shop small like olive oil, then use Oilve Wood. 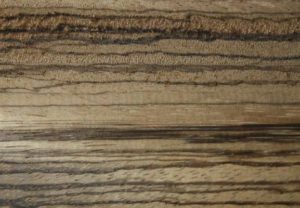 The wood itself is tan in color, with dark drown to black streaks. In intensely figured pieces, the streaks look almost like fine lines of smoke running though a light tan body. Olive wood is a pinch more expensive, and you can also find pieces that are certified to be from Bethlehem. This can be a selling point for a Christian customer, as the wood comes from a revered place in the world. There are also variations in figure, and the more interesting pieces are always going to be more expensive. 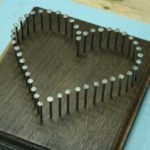 The wood is good as a stand alone, but also great in a laminated wooden ring with darker pieces on the faces to frame it in. 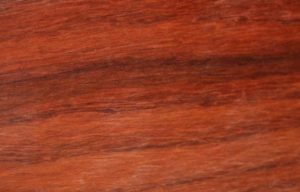 When I discovered Padauk, I became obsessed with this wood. The species is bright orange when freshly cut, then oxidizes down to a deep red and then brown. You can apply a good finish and slow the process, sealing in the good color. Padauk is not expensive for what you get. The wood is pretty common, and there is a large supply to sell to woodworkers. This is great for making a bold color statement in your ring, but also for fine line work. Remember that the dust will stain everything around it. The surrounding wood, your bench, your clothes, and your fingers. Most of it can be washed off, but the dust on lighter pieces of wood can be tough to remove. This is one of the most interesting pieces of wood in the world, and one of the first that seems to captivate people over nature. This wood is a truly purple piece of wood, that grows naturally, and is a solid purple throughout. The wood starts out fairly light when fresh cut, and then gets deeper with exposure to the sun. You can hasten the effect by leaving your pieces out in the sun, and then bringing them in when you hit the color you are looking for. The only down side to working with Purple Heart on wooden rings is that it is dense, can dull tools and edges, and it flakes. Make sure to use a backer when drilling, and this can help you prevent blowout that can ruin your blank. A favorite among cigar box and humidor makers, Spanish Cedar is a light tan to brown color, fairly solid, and lighter in weight. The wood is also inexpensive too, and can be found in a lot of wood stores. 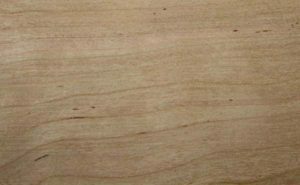 Spanish Cedar also has a sweet smell when milled. This can be a nice addition to the woodworking shop, and makes the place smell great. It’s not as strong as Aromatic Cedar, but you will still get the same scent on a smaller scale. 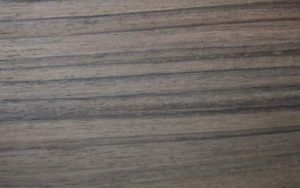 This kind of wood can be used as a single species ring for a simple look, or you can add it to a lamination. If you face it with a lighter species, it can highlight and bring out the tones of the Spanish Cedar really well. 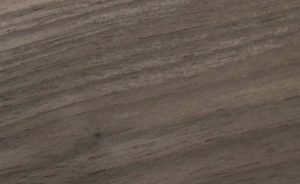 American Walnut is a gray colored wood that is common in North America. This is a good choice for furniture makers, as well as cabinet makers. The wood has a pleasant smell, and ads a unique color to your wooden rings. 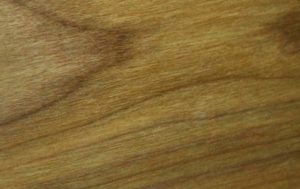 Most types of wood have color in them. 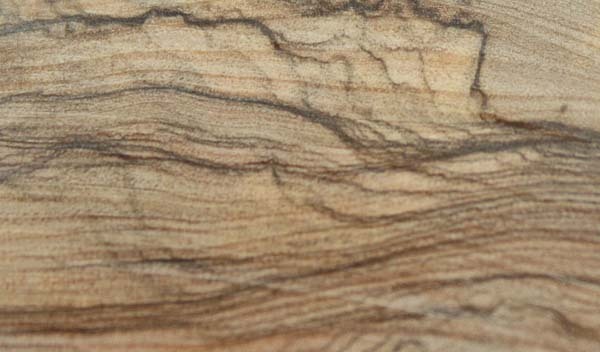 Walnut is actually really gray, so it almost looks like a black and white ring when you add the right species. It’s a cool look, because the ring can literally look like you filtered out all the color from a regular ring. 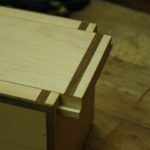 If you want to go for that look, then use a very white wood like Hickory, Ash, or Birch for the layers, and add some Walnut. The black and white look will come through in the finished ring, and you will have a very interesting piece in the end. 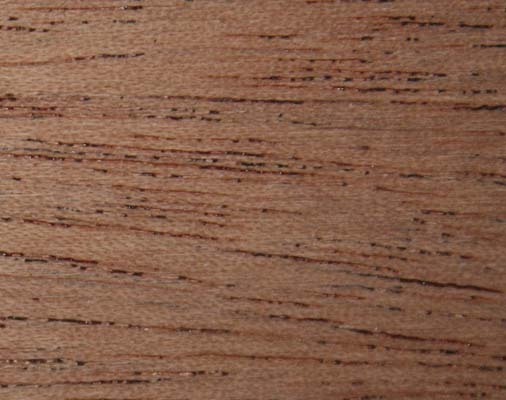 Wenge is a dark brown to back wood with lighter brown streaks. This is a dense wood, flaky, and it has a unique look. 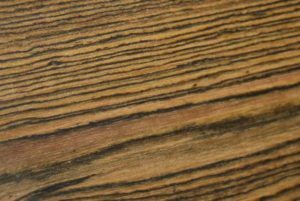 You can find Wenge in a number of places, and it is common enough that you can get it in about any woodworking store. The really nice thing about Wenge is that you can make a stand alone ring from the one species, because the grain and the look are so interesting. There is already a lot going on with the colors, look, and grain, so you don’t need to add any more if you don’t want to. However, add some inlays or layers if you want to use Wenge in a ring that is made from more than one species. Even a simple inlay can make the wood pop even more, though again it can stand alone just fine. When you need to add a light colored line to a lamination, or you need a lighter band of color, Birch is a great choice. 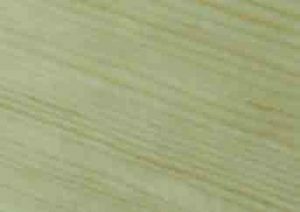 This is a common wood in plywood manufacturing, because the color is even, and the surface is generally knot free. You can find Birch in smaller pieces, and you can also find it in plywood. For making rings, the plywood look can be interesting, since it’s not common. If you go this route, you should buy the nicer pieces of Birch plywood from a woodworking store, because they are made better. Whether you go solid or ply, Birch is a great choice for a lighter color in a ring. There is not a lot of variety in the wood though, so you might want to stick to lamination, and adding other wood types of enhance the look. This is a personal favorite, and makes an excellent looking ring. You do have to make sure that you get the right kind of cut to see the effect, but it’s worth the time looking. This is an interesting piece of wood, because of the way the grain lines work together. 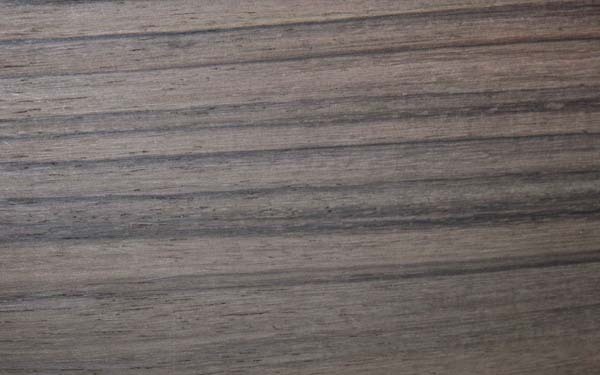 Zebra Wood gets it’s name from the fact that the grain lines alternate block and white, and create a zebra pattern on the wood. When cut properly, the lines are pretty straight and even, making for a really cool look. You can find Zebra Wood in several forms, and even small bottle stopper blanks from a turning catalog are perfect for making rings. There are also larger pieces that you can buy, and they will keep you in stock for a long time. Your homework is to try out at least one of these wood types that you have not used before. There are so many listed that you will surely be able to find at least one that you do not have a lot of experience with. When you do, head over to the wood store and buy a piece. Remember, you only need a small piece for making wooden rings. This means that even the more expensive wood types are still within reach if you can find smaller pieces. When you get that wood into the shop, actually use it. Make a few rings using the new species, and see if you like the look. If you do, pick out another wood type and do the same thing. Over time, you will add more and more wood species to your arsenal, and be able to make more looks. 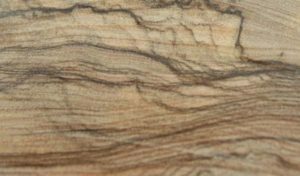 There are so many beautiful and interesting wood species in the world, and you can spend your life learning about them without making it to the end. 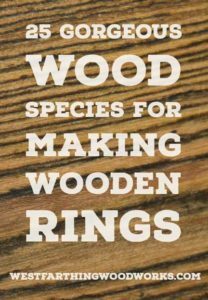 The more you know about wood, the better your ring designs will be. This is because you have more choice. When you know more, and have more choice, you are better equipped to make what you want. This means less settling, and more designing the exact types of wooden rings that you really want to create. One of the easiest ways to learn more is just to buy a small piece of a new species. Get it into the shop and work with it. Over time, you will add more and more pieces, and you will eventually know a lot about the kinds of wood available in the world. You can also Join the Community, and receive updates from me about new articles, upcoming books, and when I release new books. 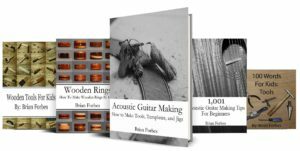 It’s completely free, and full of great tutorials, freebies, and great content.